This taco filling is quite tasty and both kiddos really enjoyed it. Put chicken in Crockpot; then add the onion and sprinkle with taco seasoning. Add the soup; then the beans; then the salsa. Cook on HIGH for 4 hours. 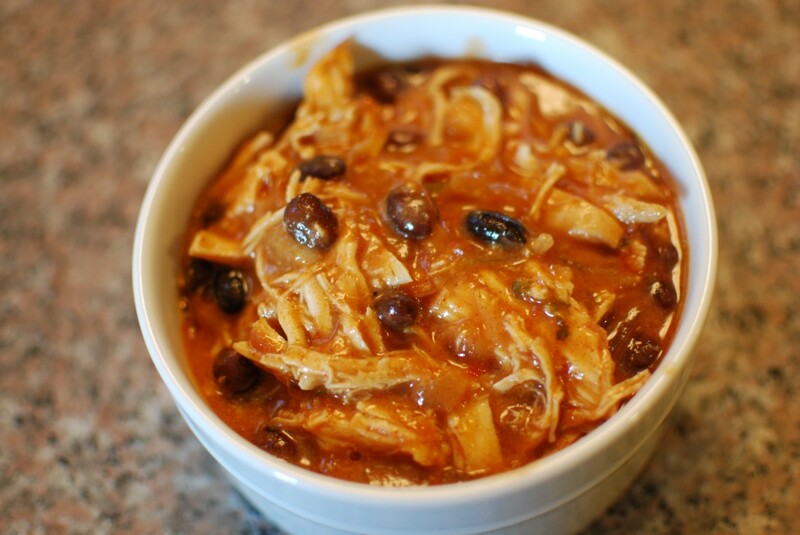 Remove chicken from Crockpot and shred then return chicken to Crockpot.